This gorgeous vase is by Pierre D'Avesn and was made in France probably between 1925 & 1930. 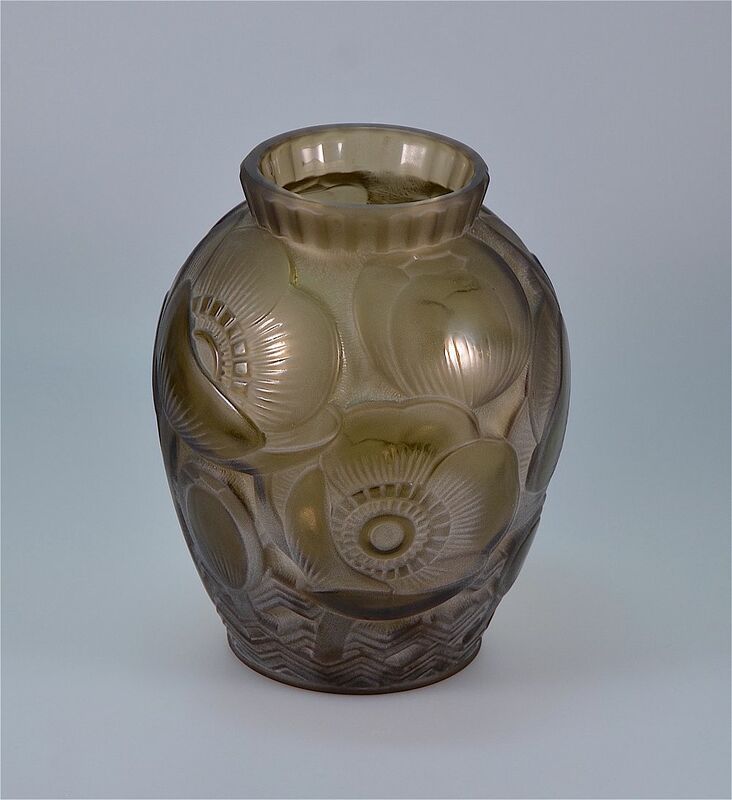 It is a relief moulded smoked glass vase with floral and seed pod designs that could be poppies. 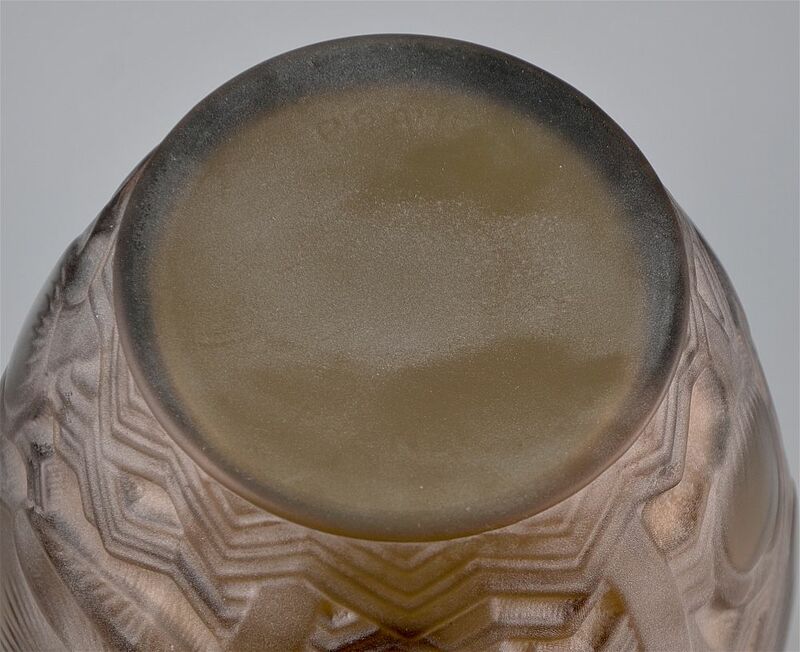 The vase has moulded marks "P D'Avesn France" to the base. Pierre Gire, aka Pierre D'avesn was born in 1901 and started his career at Rene Lalique at the age of 14. He is credited with designing the 'Serpent' and 'Tourbillons' vases for Lalique. In 1926 he left Lalique and went to work for Daum running one of their subsidiary companies Verrier D’Art Lorrain. In 1937, he took over the management of Verlys and after the end of World War II he went to work for Cristallerie de Choisy-le-Roi (Sèvres).